MK quits after three subsequent Knesset terms, against background of corruption scandal. MK David Rotem has announced that he is quitting Yisrael Beytenu Tuesday, after serving in three consecutive Knessets. 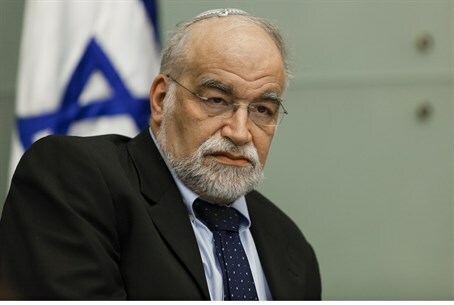 Rotem, a Bnei Brak and Jerusalem native, served as a legal advisor to the Yesha Council and number of other regional councils in the nineties and early 2000s, and as a professor of constitutional law at Bar Ilan University, before serving in the 17th, 18th, and 19th Knessets. He first entered the Knesset under Yisrael Beytenu as a member of the seventeenth Knesset on January 16, 2007 with the death of Yuri Shtern. Shortly thereafter he was appointed deputy speaker of the Knesset. On 5 November 2007, Rotem introduced a bill that proposed a condition for Israeli citizenship including a declaration of allegiance to the State of Israel and a commitment to serve in the military or national service. Another clause of the proposal: to allow the interior minister to cancel the citizenship of a person who did not serve in the IDF. Neither proposals passed. During the 18th Knesset, Rotem was placed eighth on the Yisrael Beytenu list, and was elected again, introducing six separate laws before November 2011. On 24 January 2012, Rotem was reprimanded by the Ethics Committee of the Knesset, after he told MK Zehava Gal-On (Meretz) during a meeting of the Knesset Constitution, Law and Justice Committee that she was "not even an animal." In March 2014, the Knesset approved the second and third reading of Rotem's 'Governance Law,' which raised the Knesset threshold to 3.25% of the total votes cast in national elections and limits the number of government ministers to 18. Yisrael Beytenu is embroiled in a massive corruption scandal revealed last month, which involved several senior party members.